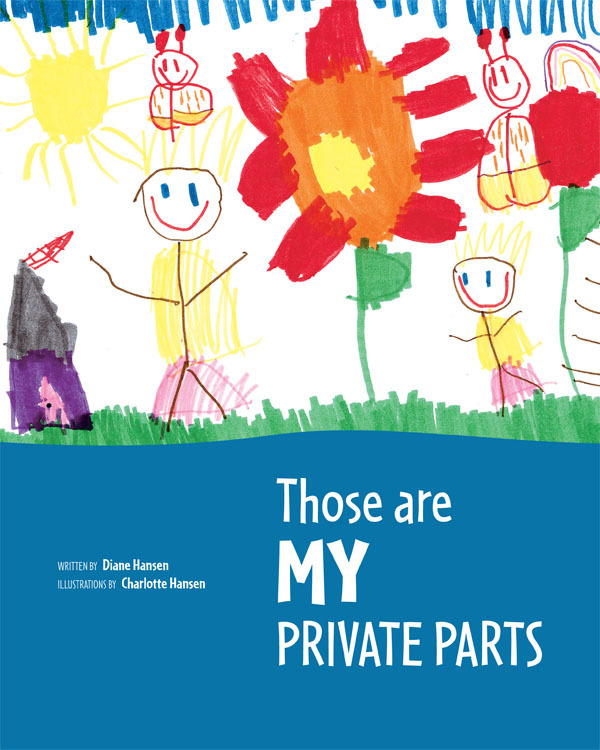 Those are MY Private Parts by Diane Hansen is a great book for young children that has pictures children have drawn and puts it into terms kids can understand, my daughter just turned three and we read this book to help her understand. ongoing support and services for victims and survivors. prevention and empower them to say no. Hansen, Diane. (2007). Those are MY private parts. Redondo Beach, CA: Empowerment Productions. Remember – A million times before you’ve heard that honesty is the best policy. Most people don’t believe that, though. So when you’re out there in cyberspace, watch yourself. You never know when 5’6″, blond and female could actually mean 6’3″, hairy and male. Don’t believe everything you see online. Be leery of those who want to know too much. There’s no rule that says you have to tell them where you live, what your last name is, or anything else personal. Your business is your business. Let them stick to theirs. And trust your instincts. If someone makes you feel uncomfortable, leave. We all remember the “buddy system” from kindergarten. Sure, you’re no longer in kindergarten, but the system still works. If you’re planning on meeting up with somebody you met online, bring a friend, or even your parents, along with you and encourage your online acquaintance to bring theirs, too. It sounds stupid, but it’s definitely the smart idea. At the very least, make sure your real friends know what you’re doing. Before you take a running leap at the streets and a hard-knock life, let somebody know how you’re feeling. Try talking to an understanding relative or friend, or call the National Runaway Switchboard at 1-800-621-4000. They are a better, more trustworthy resource than a stranger in a chat room. If you get suspicious e-mails, files, or pictures from someone you don’t know and trust, trash them just like any other junk mail. You could have a lot to lose by trusting someone you’ve never even met. The same goes for clicking links or URLs that look suspicious – just don’t do it. Avoid chat rooms or discussion areas that look sketchy or provocative, and don’t let people online trick you into thinking of them as real-life friends if you’ve never met them in person. Just the same, don’t let people goad you into online fights. If you go looking for trouble on the Internet, you’ll find it, and things can get out of control really fast. The Sexual Abuse Centre (Rotorua) Inc is a community resource providing free support, counseling, information and advice about anything to do with sexual abuse. Our professionally trained counsellors work with men and women, parents, partners and anyone effected by sexual abuse or going through abuse related court cases. We also offer tailored education programmes to suit diverse groups. Macon Resources, Inc. (MRI) has services for children of all ages. Bright Start services provide information, support, and encouragement to families with children ages birth to 5 years who live in Macon County. Prenatal services are also available through Bright Start. Plus, we offer Kid’s Connection, our after-school and summer care program for children who receive special education services and are between the ages of 5 and 18. NEW! This book helps adults and children open healthy communication about what is okay and what is not okay when it comes to touching private parts of the body. It uses child-friendly rhyming and colorful illustrations by a four-year-old to incorporate messages about sexual abuse prevention. Statistics and information on childhood sexual abuse are included for parents and educators. A “MUST HAVE” for the children you care about! The world’s largest collection of books, toys and movies for smart, confident, and courageous girls.